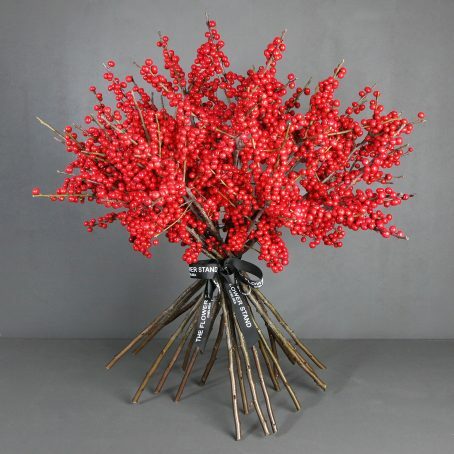 Luxury Christmas centerpiece hand made by our Chelsea florists. 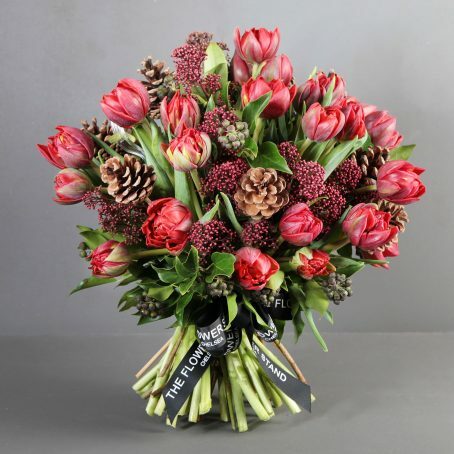 Comprising the finest quality fresh pine, eucalyptus, golden cones, lotus, baubles and cinnamon. 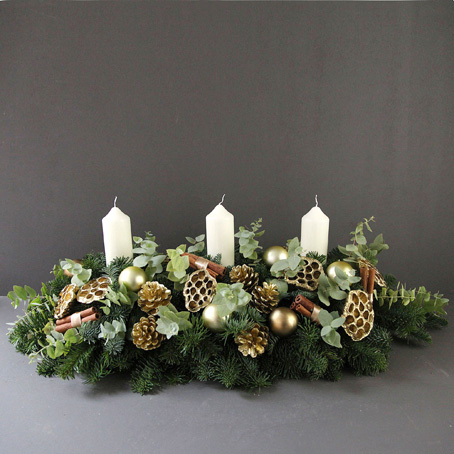 Our GOLDEN CHRISTMAS TABLE CENTREPIECE is available in 2 sizes, Medium and Large. 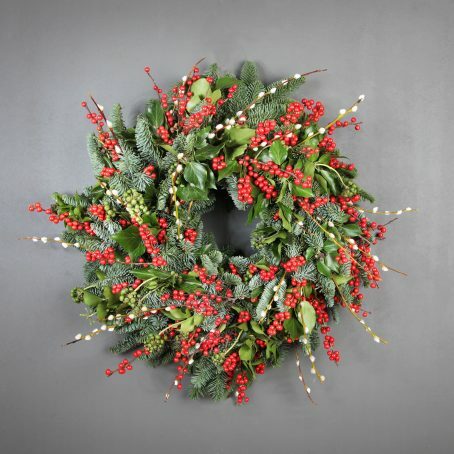 Hand made by our highly skilled Chelsea florists. Luxurious pine table decoration incorporating fresh pine, eucalyptus, golden cones, lotus, baubles and cinnamon and elegant white candles. 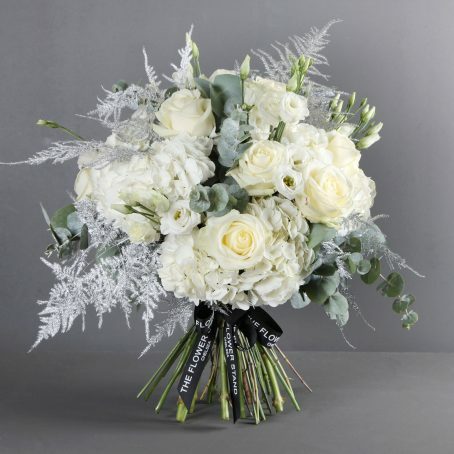 Bespoke table centerpieces are also available and usually take a maximum of 48 hours to make. Please call 020 7351 7996 if you’d like to enquire about this service.